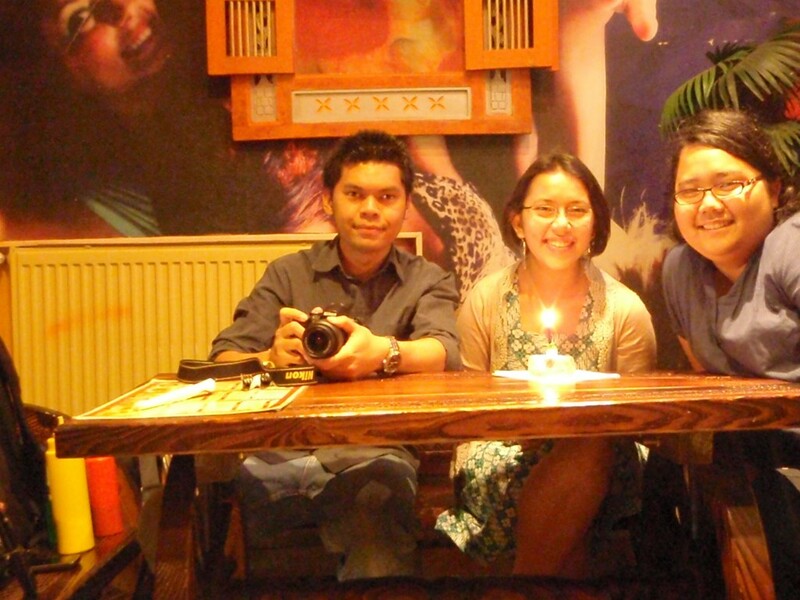 Of course birthdays are better if you had it with family and close friends.. But we still have to deal with it in The Hague. This is the second time I celebrate birthdays away, the first one when being a trip to Manado, North Celebes, about three years ago. Two highschool friends came and gave me a beautiful bouqette of roses. We went for a walk to Sundastraat and Sumatrastraat, and then we ate in one Turkish cafe. The portion was enormous! They also got me a small, cute birthday “cake” which was actually candy. 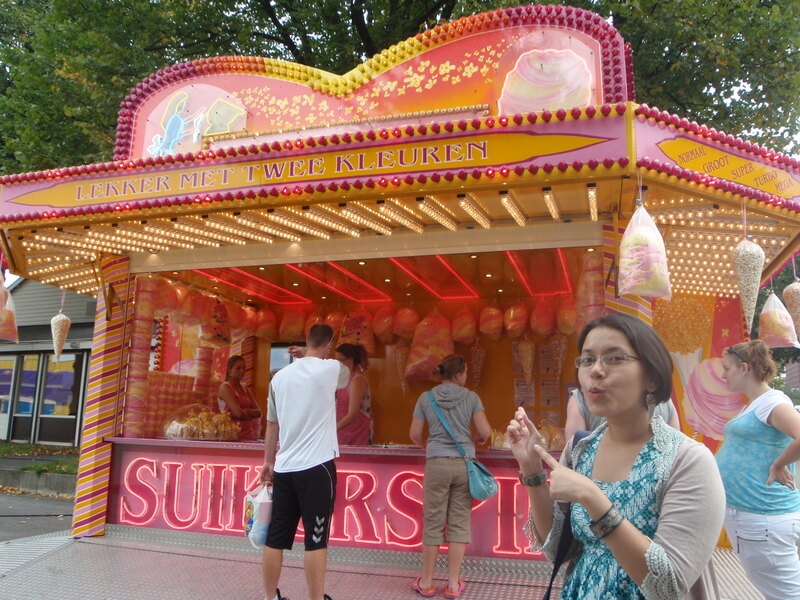 We bumped into a Kermis, a temporary night fair, along the way. 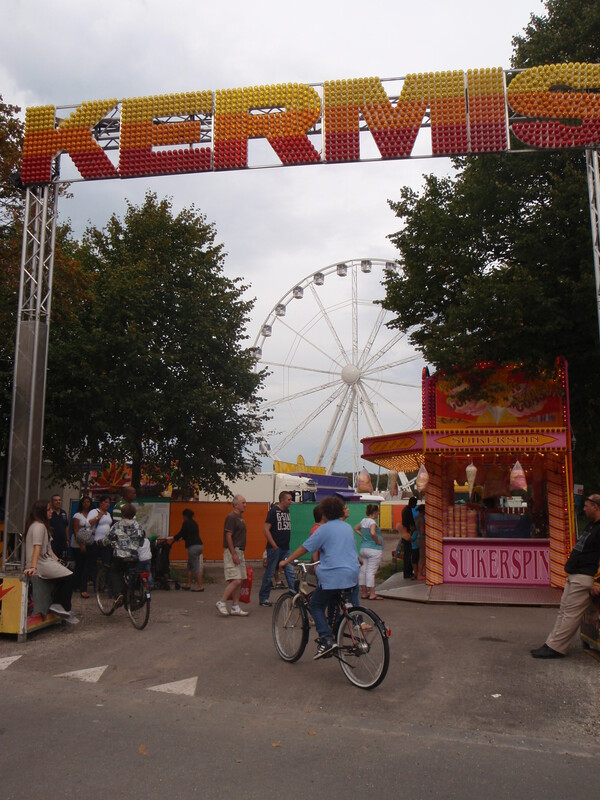 It was a small, colourful Kermis. Kermis, the temporary night fair. 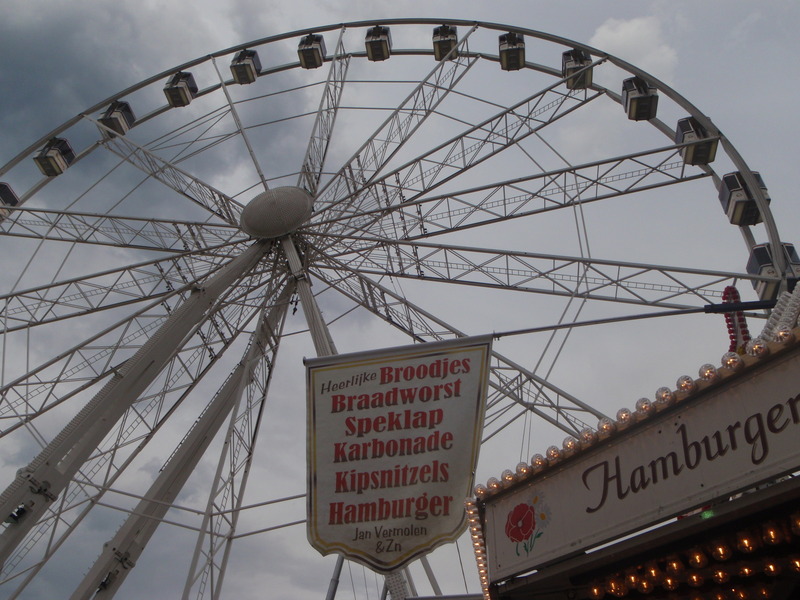 The wheel & the hamburger. Later I went to Gondelstraat for a gathering of Indonesian students in ISS. It was nice. I brought a delicious, apple crumble pie from AH. 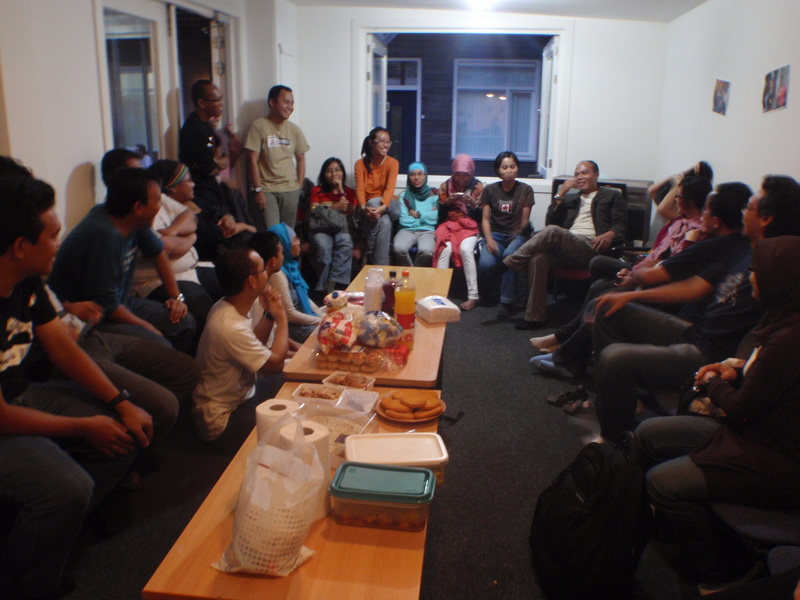 Indonesian ISSers' welcome party at Gondelstraat dorm. Thanks for all your greetings via Facebook, Twitter, and e-mail! I really appreciate them.